The Angriest: Colditz: "French Leave"
It is 18 February 1974, and time for another episode of Colditz. The French prisoners are scheduled to be transported from Colditz to a labour camp in Poland. The British contingent are desperate to secure one of the French group's secret wireless sets. When a local church requests that the British prisoners perform as a choir for an important service, one French officer spies a chance to escape. "French Leave" does what Colditz does best: take an element of World War II history and spin it out into a gripping drama. In this case, with France and Germany no longer at war, the French prisoners are to shipped out from a high security prison to undertake hard labour at a Polish prison camp instead. This change does not sit well with the entrepreneurial Andre Vaillant (Gerard Paquis), a seductive 'wheeler and dealer' who has been running an effective black market inside Colditz for years. He sneaks his way into the British choir and then seduces a young German woman to escape German custody. Gerard Paquis is oddly unconvincing as Vaillant, due in part to Ken Hughes' script portraying him as a walking French stereotype. He is smooth talking, romantic and more than a little sleazy. It is a little unfortunate that the character lacks depth, as he is the centrepiece of the story. A more nuanced or rounded version would have enhanced things tremendously. With Vaillant taking centre stage there is not a huge amount for the series' regular cast to do. Carter (David McCallum) goes looking to score one of the French group's wireless sets, and certainly when Vaillant undertakes his escape plan none of the British officers get in his way. A few key scenes really reminded me of just how strong Hans Meyer is as Hauptmann Franz Ullman. He has the depth and the distinctiveness that Vaillant lacks: while occupying an antagonist role, he is not a Nazi. He is also regularly portrayed as being fair to the prisoners, and relatively good-humoured about any jokes or ribbing he receives. 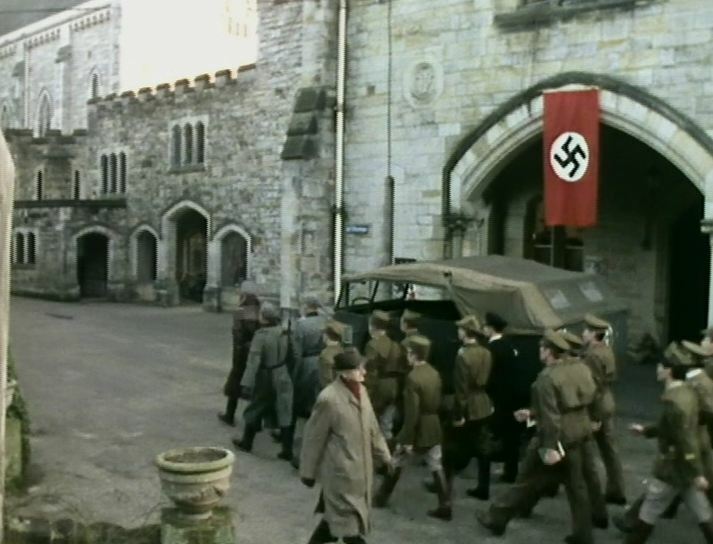 Ullman was based on a real-life Colditz Hauptmann with a similar personality and professionalism. Sarah Craze is very convincing as Gerda, a young church organist who is easily seduced by Vaillant's charms and who decides to help him escape. For a while he is convinced to go with him on the train - a selfish Vaillant knows it will improve his chances - but at the last minute she demurs. The episode's final moments see her captured by the SS for treason; we never see what happens to Vaillant. It is a bleak and depressing end, and dramatically very effective. After a mildly disappointing episode the last time around, "French Leave" returns Colditz to its typically high quality. Once again it provides a fresh dramatic angle on the ongoing grind to survive and escape. Doctor Who: "The End of Tomorrow"
Star Trek: The Next Generation: "Dark Page"
Star Trek: The Next Generation: "Phantasms"